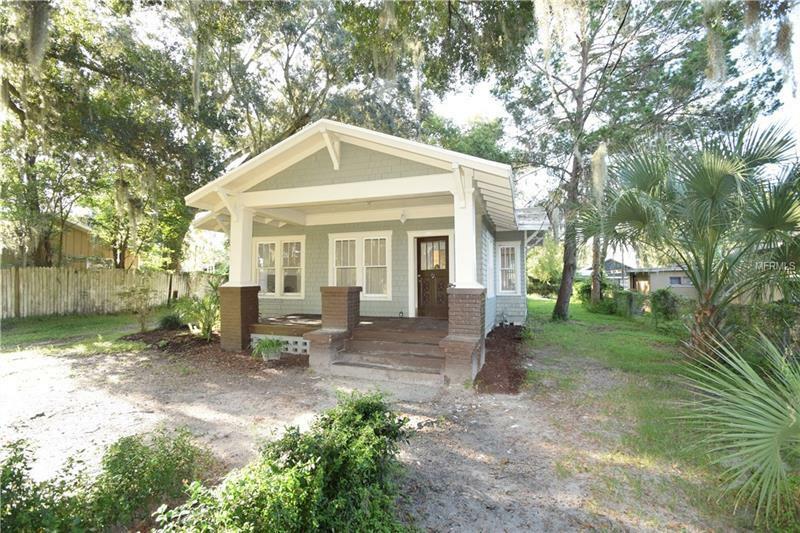 Great opportunity to own a piece of Lakeland's Historic Charm! This 2 bedroom 1 bathroom home is centrally located in Lakeland within minutes to downtown and from the future home of *Bonnet Springs Park, * an incredible 180 acre park currently being planned and expected to take off in the year of 2020. This 1922 BUNGALOW is an excellent first time AFFORDABLE home or can be an GREAT INVESTMENT property with potential rents in the $850 to $900/month. The roof was JUST REPLACED in 2017 for peace of mind. You will LOVE THE BEAUTIFUL WOOD FLOOR, the tall baseboards and elegant trim you just won't find on modern homes. Sit on your front porch kept cool by the shades of majestic oak trees or fire up the grill on your back yard. There is natural gas available on the property and a 3rd room could be used as a small bedroom. The inside laundry room is just off the kitchen. Please call today to request a private showing before it is gone!